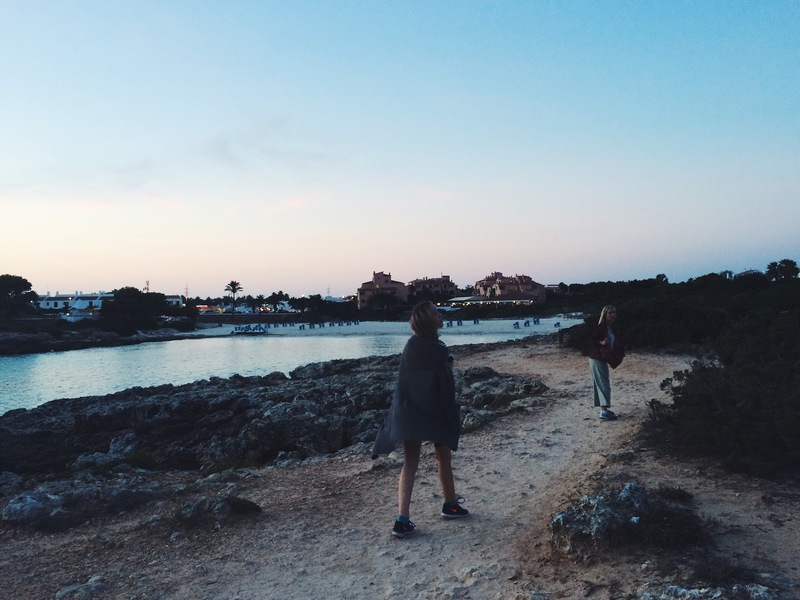 Last autumn my family and I travelled to Menorca. It was a surprise trip and we did not know where we were heading. I had never heard of Menorca before, but it sure was beautiful. I would go back in a second if I got the chance. We stayed at Grupotel Tamariscos. A beautiful place just by the beach. This Island is filled with adventures. One being the lighthouse at the end of the Island, Illa Des Porros. All you can see is endless ocean and when you turn around all you can see is endless roads. Go for a hike to the hidden beach at Cala Macarella is one of the most beautiful places I have ever been to. The hike it self is wonderful and when you reach the destination you feel at ease with the world in a way. We experienced a huge storm that took all the electricity and power in the whole village. We ran through the city to get to our hotel and the whole place was pitch black. The sun beds had blown out in the pool and the rain was pouring on the windows. We snuggled up in bed and fell asleep listening to the rain. The next day we woke up to the pool guys fixing the outside of the hotel, the sun was shining and it was time to head down for breakfast. A week walking the streets at night singing Molly Malone. Being with the ones that really matter. Whether you buy fresh ingredients from the farmers market and make the food yourself or go to one of the many local resturants, you will for sure find something you like! This place is full of local cafes serving, great restaurants and places to stop for a drink. You are surrounded by beautiful architecture and lovely people whilst walking through the streets of Menorca. Remember to look around you to find the many elements of beauty. If you fancy seeing one of the most beautiful views there is, make sure to visit Monte Toro. What a view!